My family didn’t really say much about him anymore, but that wasn’t really unusual. Grandpa owned a dark blue dump truck, and a green backhoe that used to sit under an old walnut tree at my grandma’s house. In the summer the leaves would flip and roll in the wind and the light would shimmer on that truck, but grandpa didn’t live there. I remember thinking about how lonely that backhoe must have been, chained up to that homemade trailer with no one around to use it. I think Grandpa died when I was nine. On Sunday mornings when we would visit him he would get me a Reese’s Peanut Butter Cup and I would sit and eat it right on the corner of his bar. He would take me into the kitchen to show me the French fry cutting machine followed by lifting the cover on the ice machine to marvel at all the ice. 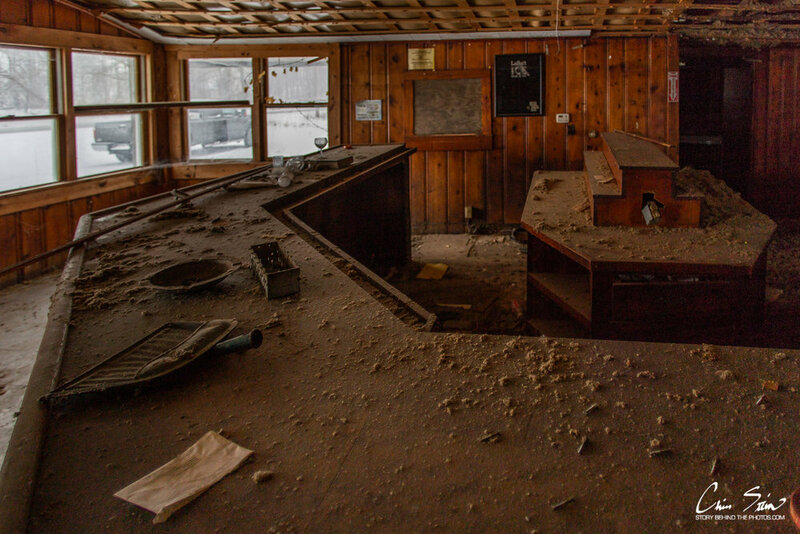 I would pull the handles on the cigarette machine, and shoot the shuffleboard puck down the alley on the fresh shuffleboard wax from the night before. 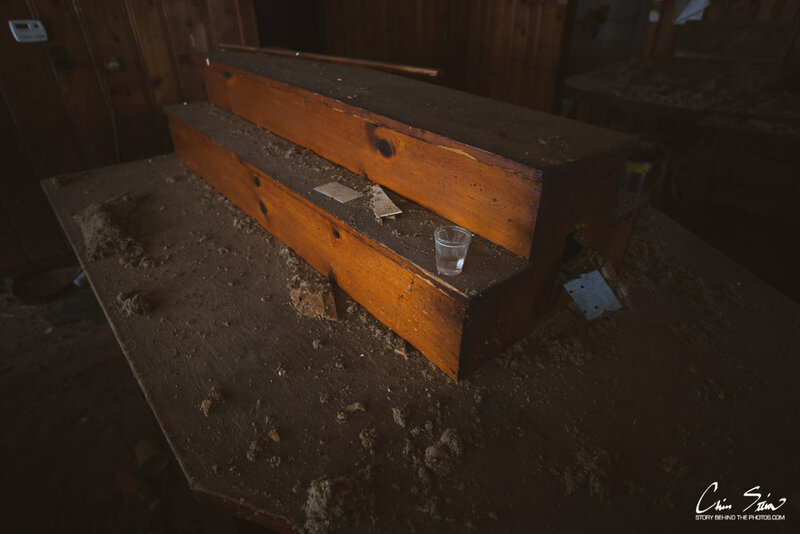 The bar he owned had a lot of stories, I’m told, and almost always smelled like cigarettes and spilt beer. I didn’t really know grandpa well, but in pictures we have, he put me on his tractor and is showing me how to dig. He would take bar debts in trade sometimes, and the farm equipment he got was everywhere on my grandma’s farm. 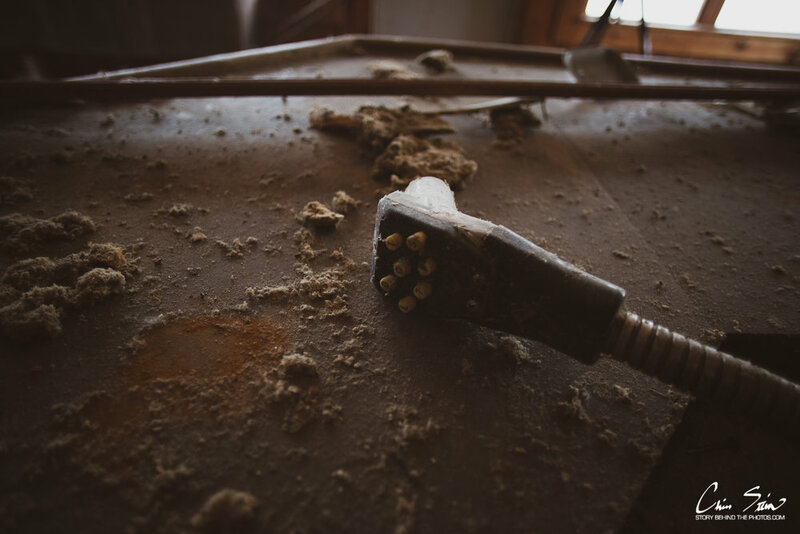 As I grew up I learned how to operate on most of that equipment, and somehow, I think part of my landscape business hinges on those machines he left behind when he died. 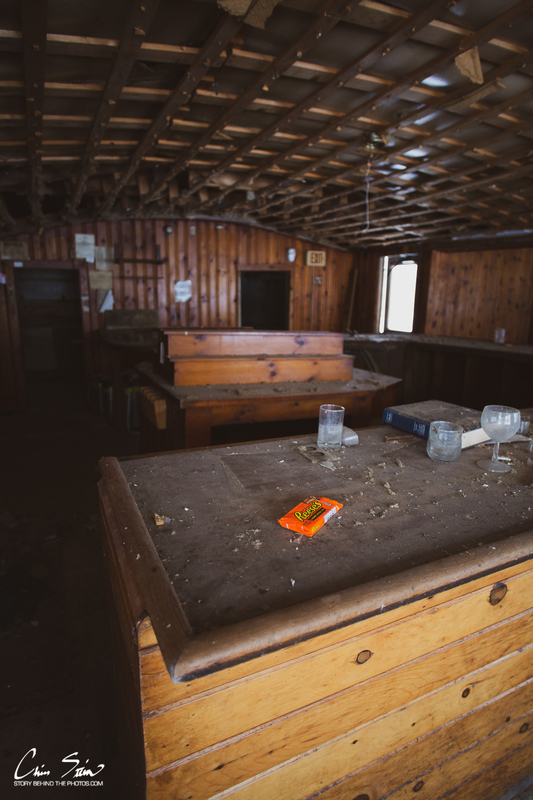 Today that old bar is falling in on itself, long since abandoned, and I am afraid it won’t be there much longer. I wanted to go back inside one more time and look at the place that gave me so many fuzzy vignettes. I can remember the space, the smells, and the small physical details, but I can’t remember him. 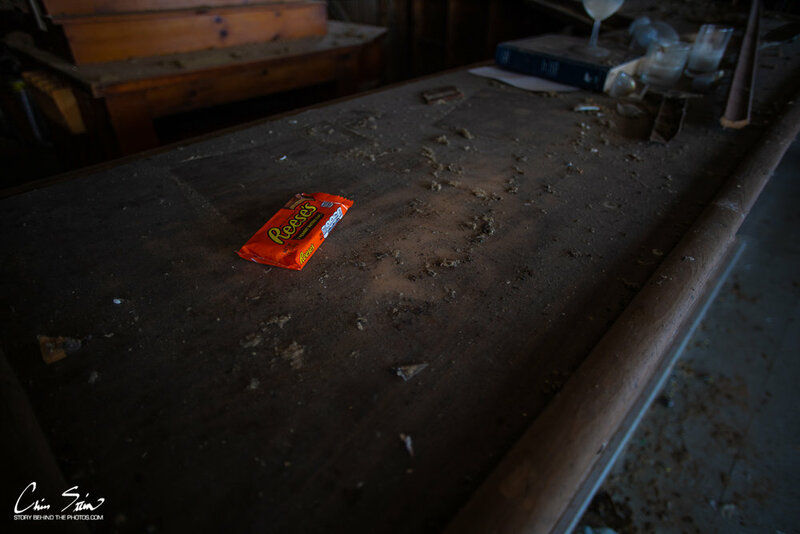 At a gas station up the road I bought two Reese’s Peanut Butter Cups and brought them back with me in my camera bag. 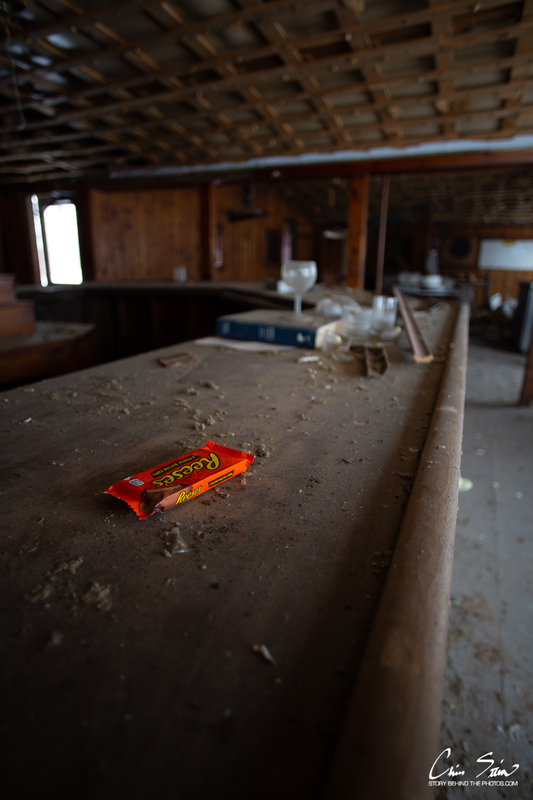 After I had finished up shooting pictures, I used my finger to write “thanks” in the dust on the old bar and left a Reese’s right in the spot I used to sit. I walked out and happily ate the other one on the ride home and marveled at how complex and interwoven life is.